Walk into any quality outdoor gear store these days and it’s likely you will find an overwhelming selection of packs for backpacking. There are big ones, small ones and middle-sized ones, too. Making the right choice isn’t simply a matter of size. Fit is essential; so is getting the right pack for the job. That means knowing what clothing and gear you want to haul and what type of terrain you will travel. A winter trip has more bulky gear; a summer trip can be very lean. A four-season tent takes up more space than a tarp and trekking pole. A 3-pound solo or two-person tent falls in between. “Liters” refer to the approximate volume of the pack bag. 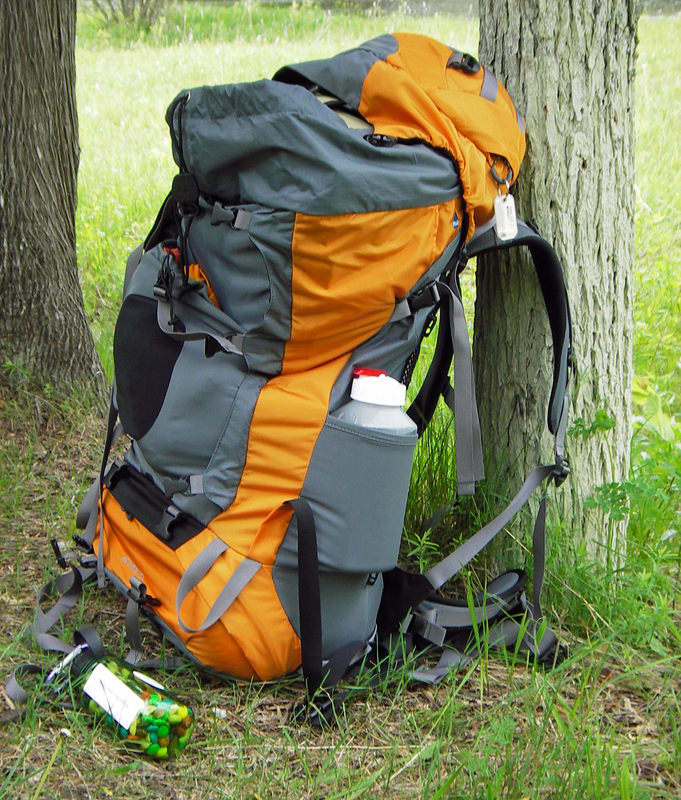 Backpacks are made to carry 30 liters, 40 liters, 60 liters, 70 liters or more. Ultra-light, fast-packers who want to log miles, or experienced backpackers who have refined their gear choices, are likely to get by with smaller packs on longer trips. But lux campers who prefer a few more comforts, a bottle of wine and fresh produce, or family campers with children in tow, often find a larger pack is the right choice for a weekend. A reasonable guide for beginners is to pick 30-45 liters for a minimalist overnight, 50-70 liters for two trail nights, and 60-85 liters for longer trips. “It’s a tough question,” said Jim Misiewicz, who works at The Outpost in Holland. “The 70 liter is great for everything except when you are carrying a friend’s stuff or on extended trips. And that will change a lot. A 70-liter pack stuffed to capacity for a Sleeping Bear Dunes National Lakeshore weekend might be too small for a week in the Porkies unless something changes: fewer clothes, smaller sleeping bag, sharing the tent load, cooking utensils, food, fuel and stove. “The 70- to 85-liter range is good for families. Me, I hike with a 90-liter pack when I go out with my kids and they carry a school pack,” Misiewicz said. Dean goes smaller when hiking with his family, more like a 70-liter backpack for four days with three kids on South Manitou Island, but his wife carries a 55-liter pack. Most backpacks sold today are sleek, internal-frame designs. They fit close, hug the body and are designed with a lower center of gravity, which makes hiking with them more stable in uneven terrain. Their narrower profile also is less prone to getting snagged by branches or rock outcroppings. Gear is organized within the large, open sack by using colored nylon stuff-sacks and by stuffing must-have gear in the lid compartment, or near the top-entry or side zipper, if it has one. External frame packs, though a rarity in stores today, still have an important place in the mix. They allow for more comfortable, upright walking on open trails and rolling terrain. They excel at taking the load weight off shoulders and shifting it to the hips, where it belongs. “Today’s internal frame packs are not a ton of a lot better than they were (60 percent of weight on hips/40 percent shoulders), but some are better than others at pushing the 80 percent range,” Dean said. External frame pack bags also often are favored by those who are fussy about gear organization. They have compartments and interior dividers. Keeping the sleeping bag dry is no more difficult than stuffing it in a quality, waterproof compression sack that is lashed to the frame. Sleeping pads can be kept dry just as easily by putting them in a waterproof stuff sack, or slipping a plastic garbage bag inside the nylon sack it comes with and lashing that to the frame, too. Internal frame pack owners often stow them inside. Choosing a backpack is a lot of fun, but don’t skimp on research or the time it takes at the store to ensure a good fit. Try them on, have a staff member adjust the suspension and hip belt, or swap out the hip belt for a better size. Then, load them up with 20 pounds of simulated gear and carry them around the store for a while. If the sales staff won’t do it or seem uncertain about how to adjust the pack, go somewhere else to buy it. 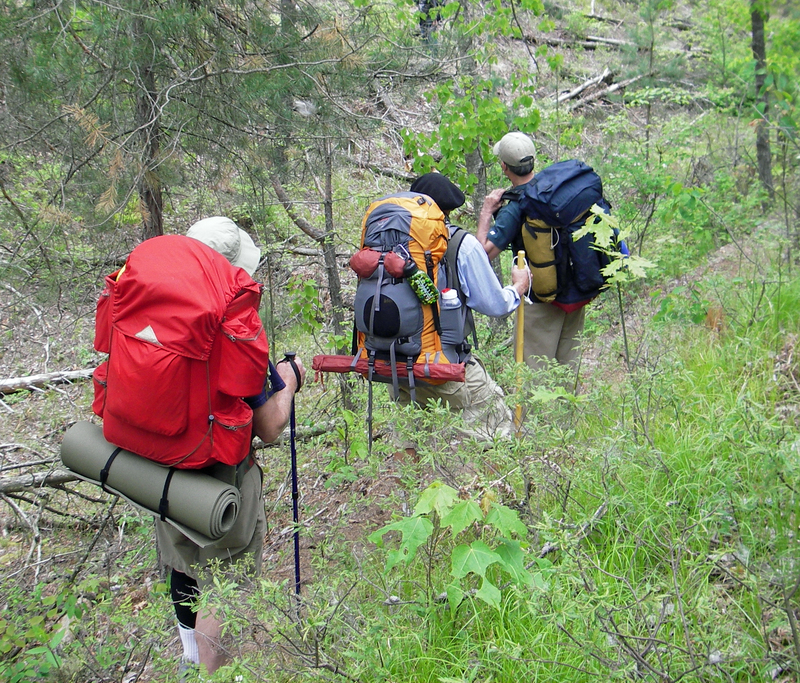 Once you are on the trail loaded up, having traveled to get there with family or friends, there’s no turning back. Out on the trail, you want it to fit right. © MLive.com. All rights reserved. This entry was posted in Uncategorized and tagged Adventure Travel, Backpack, Backpacking, Bill & Paul's Sporthaus, Camping, Gear Reviews, Going Light, Hiking, Outdoor, Recreation, South Manitou Island, The Outpost, Trails, Trekking Pole, Wilderness. Bookmark the permalink. Back packs sure have come a long way since my scouting days.